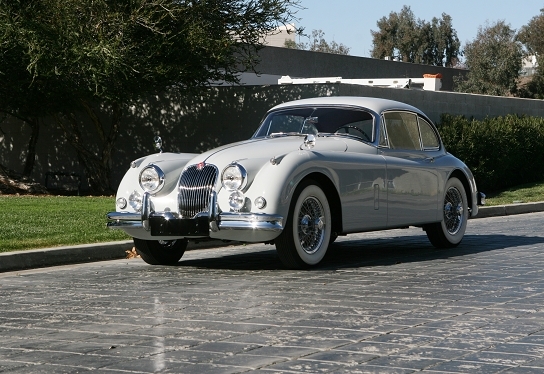 This Jaguar is a rare and very original number matching. It was a participant in the 1964 Litre Bug Twist slalom, the Valley Touring Society�s 1963 Time Trials, and the 21st Santa Barbara Road Races in 1964. 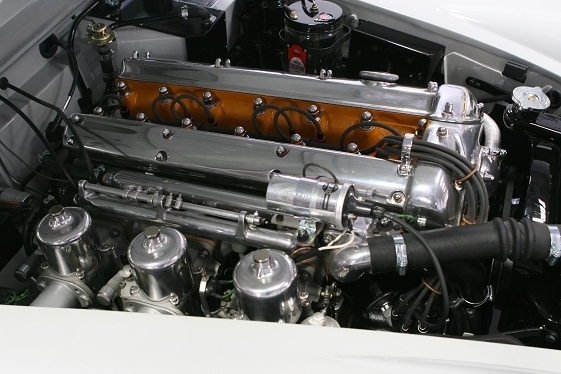 The car was owned by Ray Milland, a famous actor of the 1950s and 60s. The same family has owned the car since 1967. No expense was spared in this correct and proper restoration. Every component has been rebuilt or replaced. 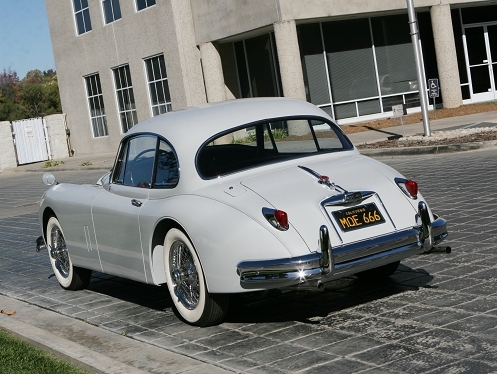 Perfection was our goal in restoring this original Jaguar. It is a superb example. 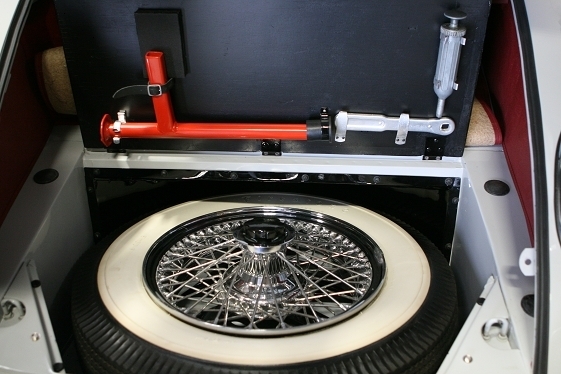 The restoration of this vehicle to a Show/Driver level included the following: The vehicle was fully disassembled. Body stripped to bare metal, worked the body, doors, bonnet and boot, then fitted to the body, epoxy sealed and painted, color sanded and buffed. A new proper interior including padding, carpet, panels, dash and leather seats all custom fitted and upholstered. The engine was re-built to factory specifications matching and calibrated with new pistons, oil pump, head completely rebuilt, rebuilt carburetors, clutch system, all new hydraulic system, restored shocks, the chassis and many other parts refinished, new suspension bushings, new wire harness installed, gas tank restored and epoxy sealed, rebuilt fuel pump, all electrical components, gauges, knobs, switches rebuilt, rescreened or replaced, and seat frames restored, restored stone guards, new triplex windshield, new drip panels, new stainless steel exhaust system, rear end completely rebuilt as well as the transmission and over drive. 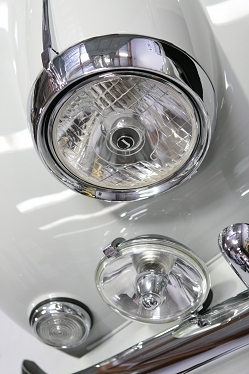 A great deal of time was spent on detail and quality throughout the restoration process. This is a great opportunity to own a very rare and spectacular vehicle that is documented with a Heritage certificate. It is one of only 108 made. This is one of the finest examples in the world. 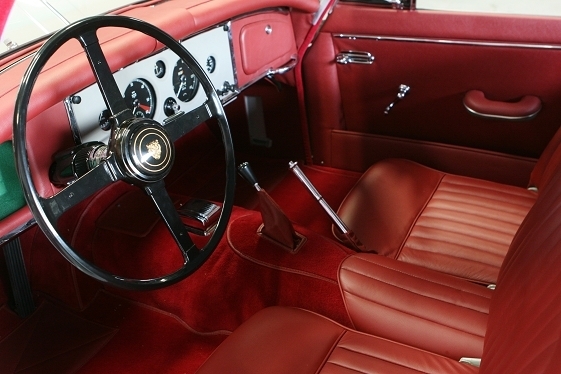 A tremendous amount of care and attention to detail went into the restoration of this Jaguar and it is accompanied by a DVD of the restoration process.